Products – Camera – GTCAM – Team Research Inc.
GTCam, a camera that carries plugged into Skype certification allows you to do just that. Watch your office, pets, or baby from the convenience of your mobile or desktop device. You can view the camera from any platform where you can use the Skype app. This includes Windows, Android, IOS, and even Blackberry. Various interfaces are supported such as smartphones, tablets, laptops, and desktop computers. All you need to do is download Skype for free. A Windows desktop machine is required for the 1st time setup only. 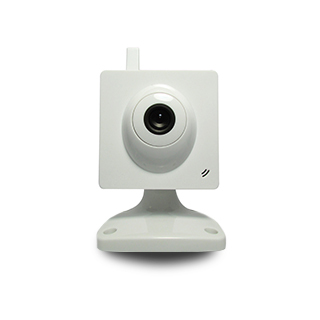 A lot of IP cameras struggle to get around firewalls especially in office environments. Skype’s software is one of the best at getting around firewalls and works anywhere that Skype works. Skype is free to use and you can use the camera to continuously monitor unlike other products that limit the time you can view the camera. • Easily view the camera from phone, tablet, or computer using the Skype app. • Wireless and ethernet connection options with VGA quality at 30FPS. • Record up to four days with optional micro SD card. • Easy setup in three easy steps, safe and secure using Skype’s peer to peer network. • Connect through firewalls and access anywhere like only Skype can.